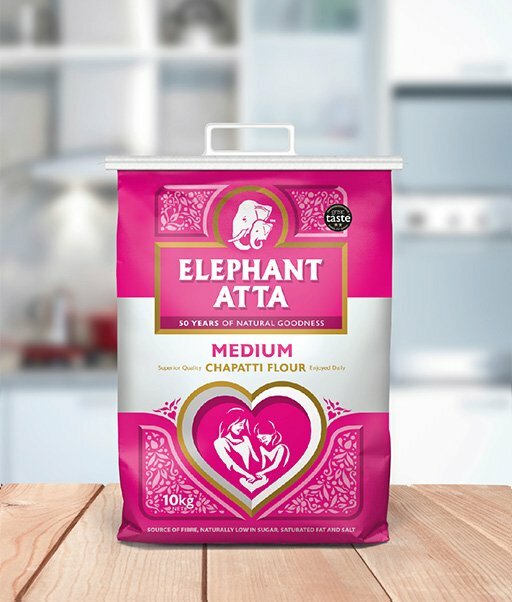 Our Medium Flour (Atta) delivers the best of both worlds – taste and nutrition. 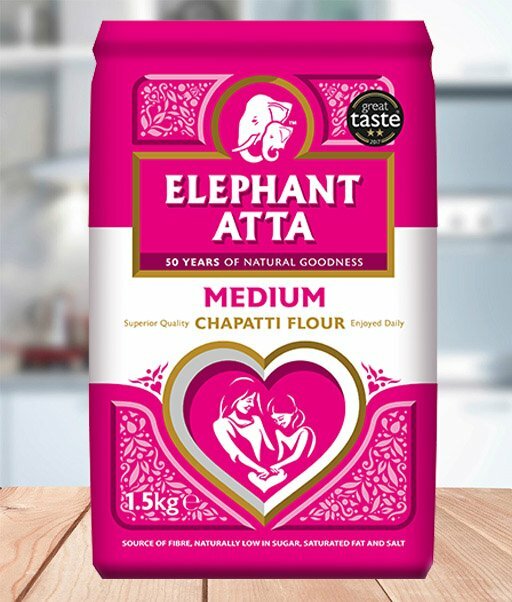 We have blended our wholemeal flour with our soft white flour to achieve the perfect blend that makes light and fluffy chapattis packed full of taste and nutrients. 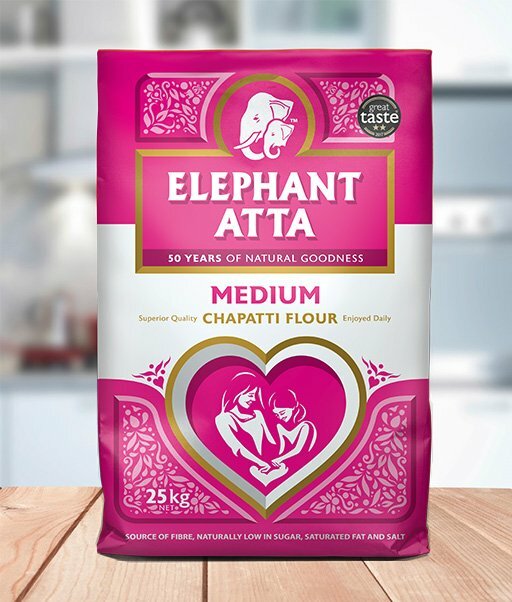 Elephant Atta Medium is the nation’s favourite atta and has been awarded 2 gold stars at the ‘Great Taste Awards 2017. Chef Gulu Anand, Brilliant restaurant, Southall.